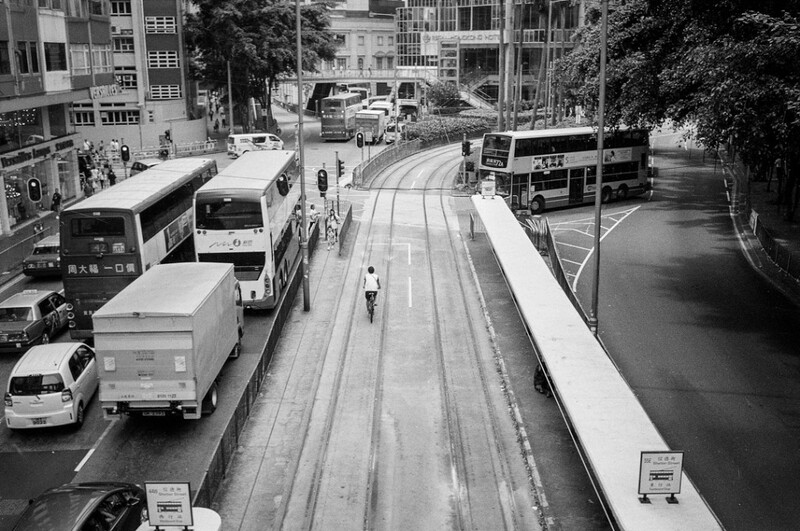 Hong Kong isn’t a very cyclist friendly city (and that’s probably a euphemism) in between the high slopes and the dense traffic. So you don’t see a lot of bikers. But there is still a Chinese reliance on cycles for deliveries and personal transportation. When the traffic is dense though, they use the tram lanes, the only place they’re guaranteed not to find cars and buses. The tram drivers don’t seem to mind. High risers are so dense in Hong Kong that with the right light you can see them all reflected within each other. 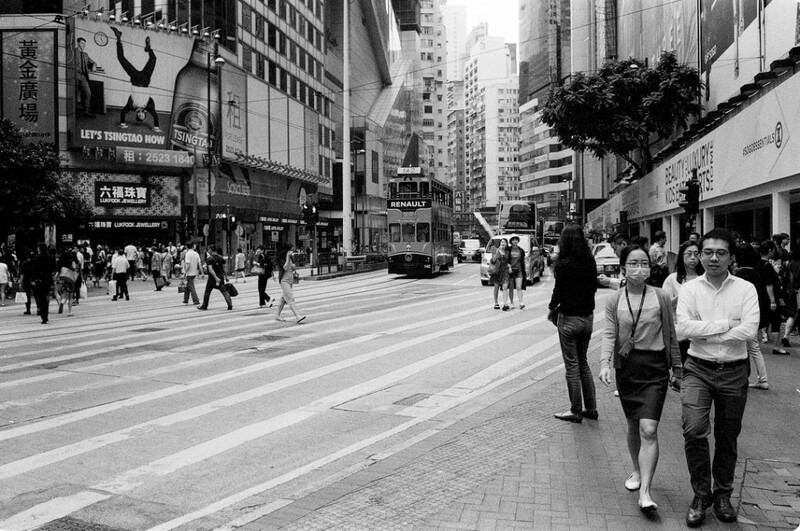 This is something I was fascinated by early on when I arrived in Hong Kong, and I did many such shots. 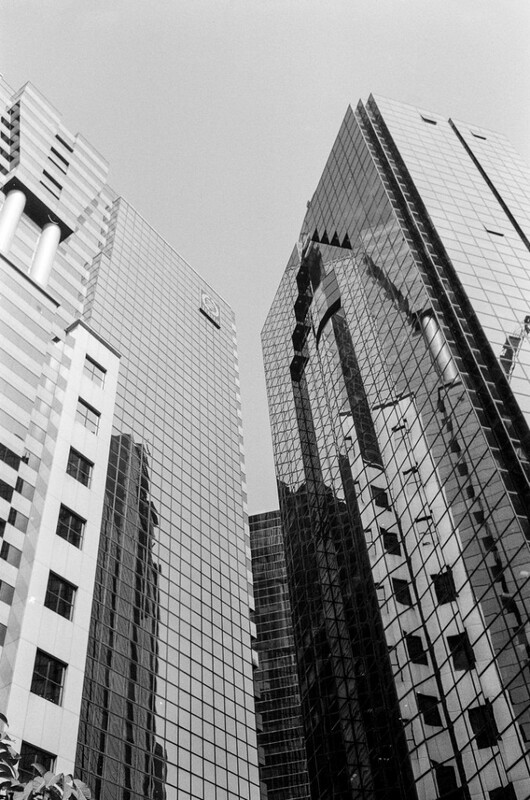 This is one of the best despite (or maybe because of) the minimalist setup of the Minox. 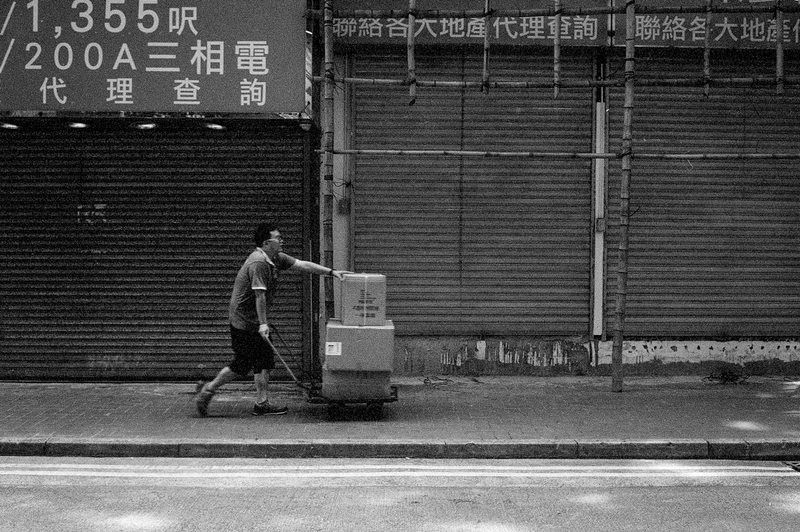 On the summer before I moved to Hong Kong I asked my father if e still had his film camera from the 70s. He dug into his boxes and couldn’t find it, but he did find a Minox 35ML, still in its box. Some German customers gave it to him as a gift in the 80s. I decided to try it out and it was love at first sight. Sure, it’s minimalist, but its so tiny that you can carry it around anywhere, and while focusing is a mostly random exercise, the lens is super sharp. 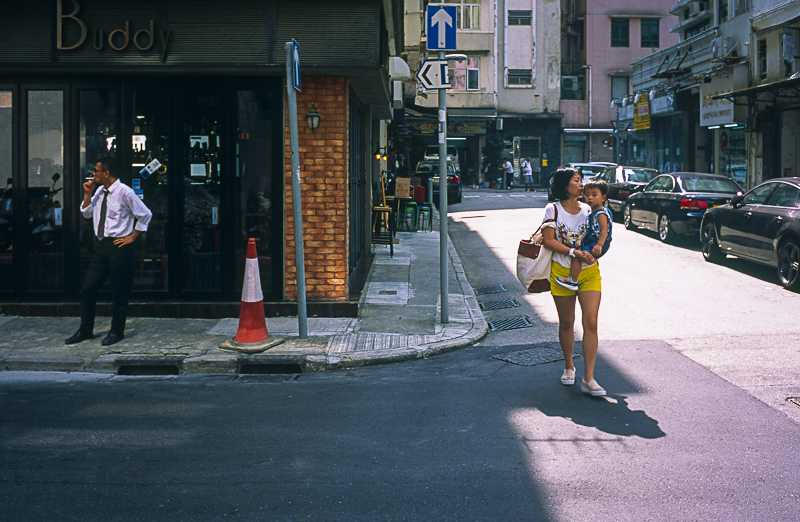 I started adjusting to hyperfocal techniques and over the course of the first few weeks in HK, I shot half a dozen rolls. When they came back though, I found out that this notoriously unreliable camera had crapped out on me. Two of the rolls were blank, and two others were partially exposed only. I stopped using the Minox since I couldn’t find anyone to get it fixed. 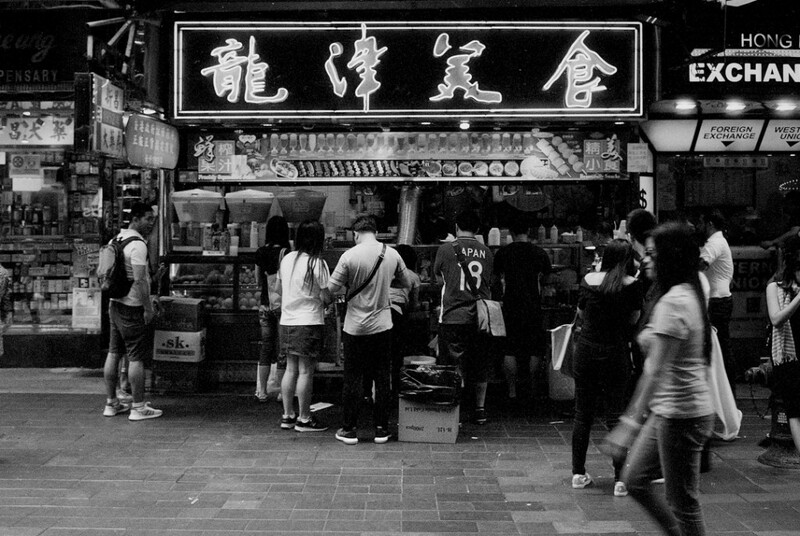 Still, I got some really good shots out of it, including this shot of a street food stall in Causeway Bay. This is probably my most successful shot in this series. There’s a good dynamic (I think) with light and shadows, the mother and baby and the guy smoking by the bar. 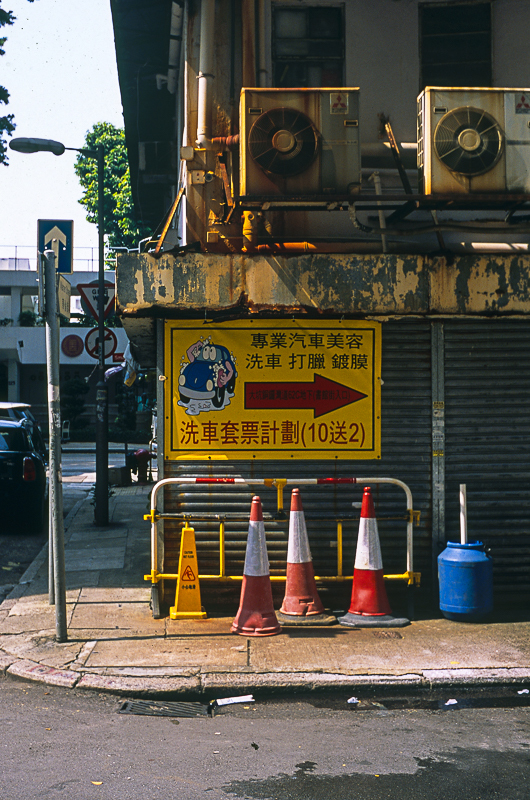 One of the reasons I love the CT 100 slide film is that the colours are vivid but stay really natural. 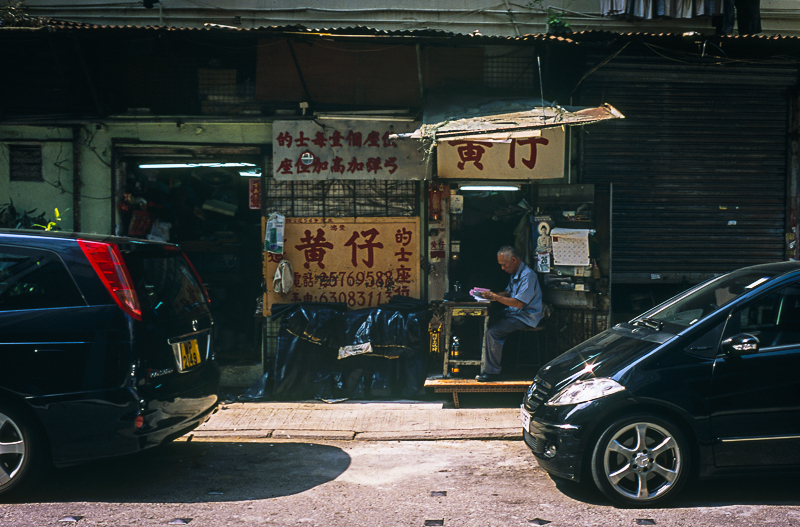 In Tai Hang there are many colourful signs, shopfronts, etc. so it’s a good combination.